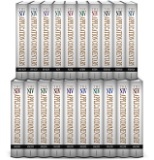 Yesterday I noticed that Logos was offering the 20 volume NIV Application Commentary (New Testament) series for a mere $249.99 (retail is $477.99). I tried to resist buying this series, but I ended up figuring it’s such a deal that I mine as well pick it up. I already own four of these, so I’ll probably end up either giving them away or selling them. The series features commentaries by Scot McKnight, Craig Keener, Douglas Moo, Craig Blomberg, Gary Burge, Darrel Bock, and more. It certainly includes some fantastic scholars! The format of the commentary series can be really frustrating, but there’s no doubt that it’s quite practical and is a good commentary series to use when thinking about pastoral issues and application.